The BSE Sensex was trading at 33,476.38, down 209.16 points or 0.62% at 10.30 am. The NSE Nifty was testing 10,300 levels, trading lower by 0.56% or 57.85 points, at 10,302.30. 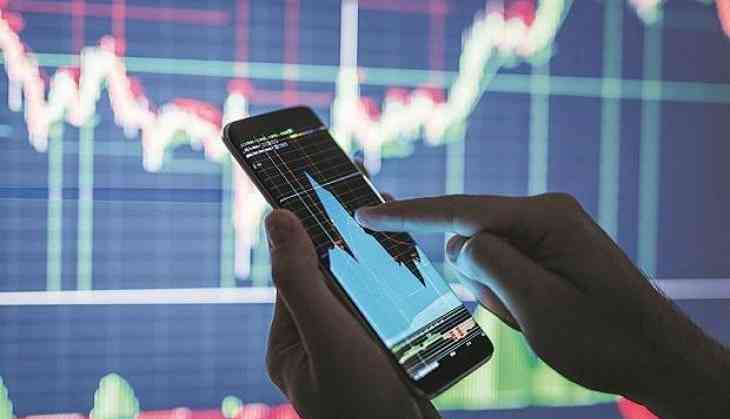 Indian equity benchmark,BSE Sensex, fell over 200 points in morning trade on Friday, amid weak Asian cues and selling on oil & gas, metals, power, PSU and IT counters. Brokers said persistent selling by investors, capital outflows by foreign funds and a weak trend in Asian bourses due to increased concerns over the prospect of a global trade war dampened market sentiment. The BSE Sensex was trading at 33,476.38, down 209.16 points or 0.62% at 10.30 am. The gauge lost 232.40 points in the previous three straight sessions. The NSE Nifty was testing 10,300 levels, trading lower by 0.56% or 57.85 points, at 10,302.30. Tata Motors, Reliance Industries, ONGC, Asian Paints, NTPC and Kotak Bank were among the major losers on the BSE Sensex, falling up to 1.94%. Shares of Gitanjali Gems continued to be under selling pressure, falling 4.63% to Rs 12.35. Hong Kong’s Hang Seng was down 0.24% and Shanghai Composite shed 0.11% in early trade today. Japan’s Nikkei too down 0.24%. The US Dow Jones Industrial Average, however, ended 0.47% higher on Thursday.